← What’s Happening at the Grand Houses of England? May I simply say what a comfort to find someone who genuinely understands what they’re discussing on the net. You definitely understand how to bring a problem to light and make it important. A lot more people need to look at this and understand this side of the story. I can’t believe you’re not more popular given that you surely possess the gift. Normally I don’t learn post on blogs, but I would like to say that this write-up very pressured me to take a look at and do it! Your writing taste has been amazed me. Thanks, very nice article. Very interesting post about Dorthea Dix. Mental health continues to be a very important issue, and many mental illnesses are gravely misunderstood. You are certainly right that many mental illnesses are misunderstood. I hope that as more people get health care through Obamacare there will be more treatment available and more research to find the causes and best treatments for those who suffer from mental illness. This is another important post. It’s all too true that too many people continue to suffer from mental illness and desperately need treatment that could help them lead happier, more stable lives. 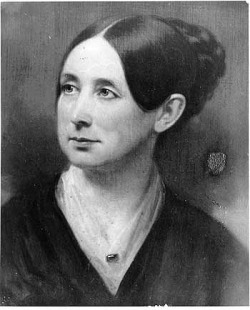 Dorothea Dix was a true heroine. We need more people like her today!